The first and only Lyme disease vaccine of its kind. The first and only chimeric recombinant canine Lyme disease vaccine. VANGUARD® crLyme helps provide broad-spectrum coverage against outer surface protein A (OspA), found in the tick, and contains antigens from multiple types of outer surface protein C (OspC), found in the tick and dog. 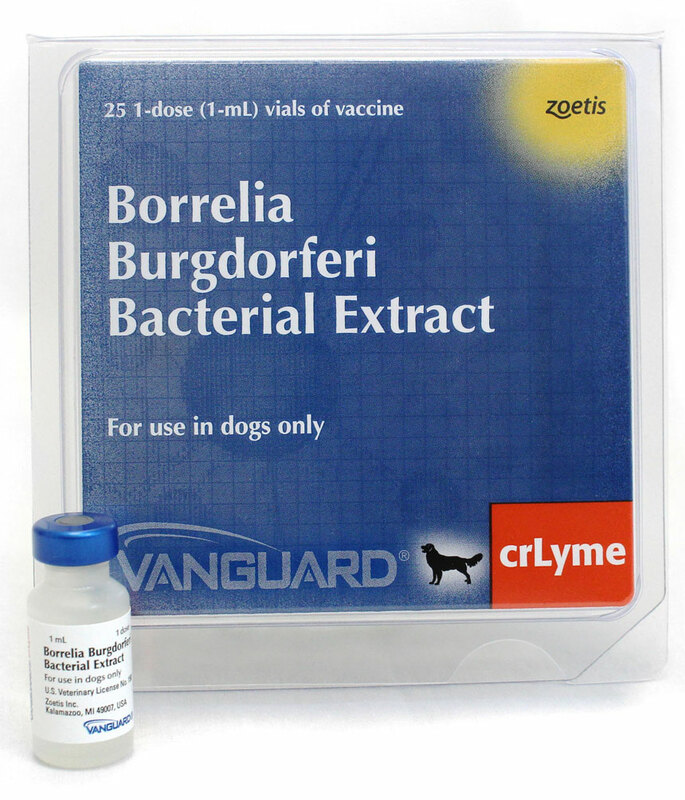 Indication: For vaccination of healthy dogs 8 weeks of age or older as an aid in the prevention of clinical disease and subclinical arthritis associated with Borrelia burgdorferi. Administration: 1 mL subcutaneous vaccine; dogs should be administered two doses, three weeks apart; annual revaccination recommended. Research has demonstrated that B. burgdorferi can express many different types of OspC in a canine infection.2 One study demonstrated that 11 different types of OspC were present in canine tissue after exposure to B. burgdorferi carrying Ixodes ticks. B. burgdorferi are obligate bacteria, meaning that they must reside within either an Ixodes spp. 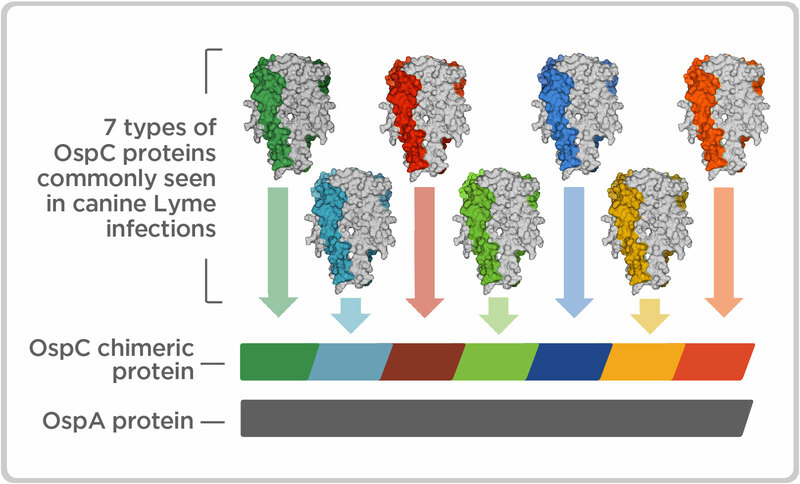 tick or another host in order to survive.2 In order to adapt to physiologic differences between hosts and to avoid host immune responses, they frequently change the proteins expressed on their outer surface. OspC expression is required for B. burgdorferi infection of mammalian hosts. While each bacterium can only express one type of OspC on its surface, ticks are generally infected with multiple B. burgdorferi bacteria. Until now, a single vaccine that included an OspA protein and a chimeric protein containing antigenic material from seven types of OspC was not possible. At most, previously available vaccines have only contained one type of OspC. Why both OspA and OspC? Rhodes DV, Earnhart CG, Mather TN, Meeus PF, Marconi RT. Identification of Borrelia burgdorferi ospC genotypes in canine tissue following tick infestation: implications for Lyme disease vaccine and diagnostic assay design. Vet J. 2013;198(2):412-418. Kenedy MR, Lenhart TR, Akins DR. The role of Borrelia burgdorferi outer surface proteins. FEMS Immunol Med Microbiol. 2012;66(1):1-19. doi:10.1111/j.1574-695X.2012.00980.x. 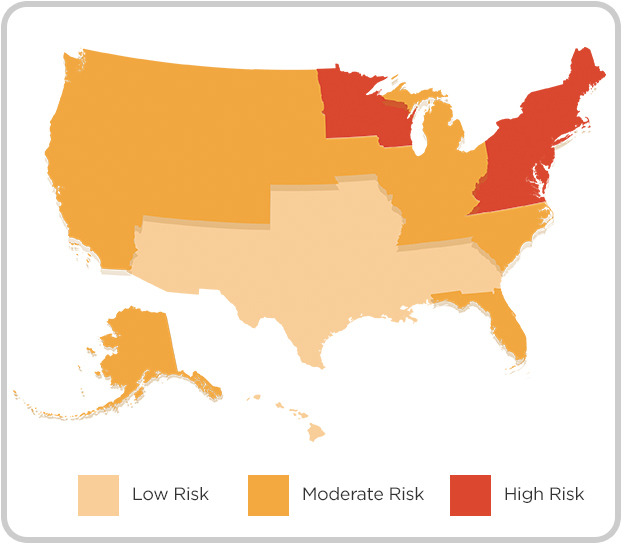 Lyme disease incidence rates by state, 2007–2017. Centers for Disease Control and Prevention National Center for Emerging and Zoonotic Infectious Diseases (NCEZID) Division of Vector-Borne Diseases (DVBD). http://www.cdc.gov/lyme/stats/chartstables/incidencebystate.html. Accessed November 16, 2018. Lyme disease incidence rates in the United States, 2017. https://www.cdc.gov/lyme/datasurveillance/index.html. Accessed November 16, 2018. Nelson, CA, Saha S, Kugeler KJ, et al. 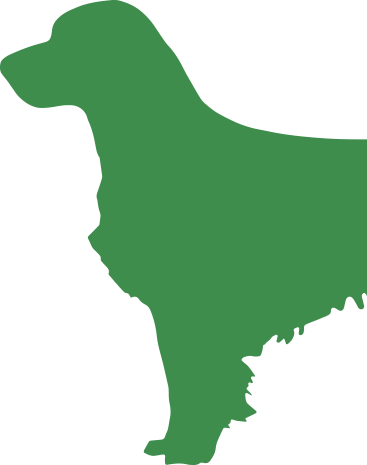 Incidence of clinician-diagnosed Lyme disease, United States, 2005–2010. Emerg Infect Dis. 2015;21(9):1625-1631. doi:10.3201/eid2109.150417. Parasite prevalance maps. Companion Animal Parasite Council. https://capcvet.org/maps/#2017/all/lyme-disease/dog/united-states/. Accessed November 16, 2018.